Coffee seems to be my drink of choice lately. You will rarely see me drinking beer or wine. You can count on me drinking coffee daily. When I was given the opportunity to sample some coffee, and share it with friends, my answer was 100% yes. 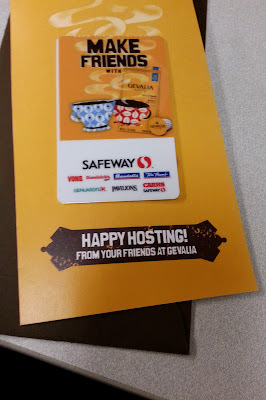 Gevalia Coffee and Safeway sent me a gift card to host a little gathering with friends to enjoy some of their coffee. 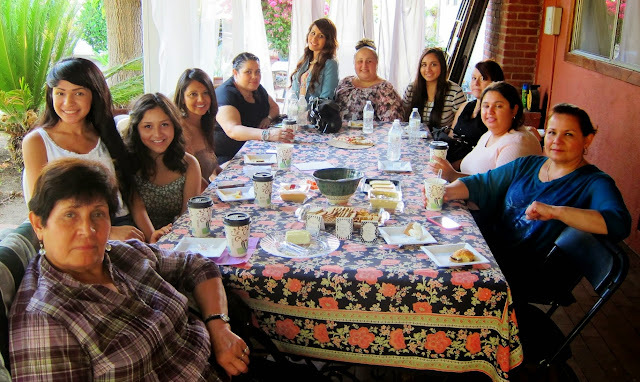 I invited my girlfriends, mom and sister to come over for an after noon of Gevalia Coffee and sweet treats. I chose a Sunday afternoon for the gathering, so we can have a relaxing and fun ending to the weekend. 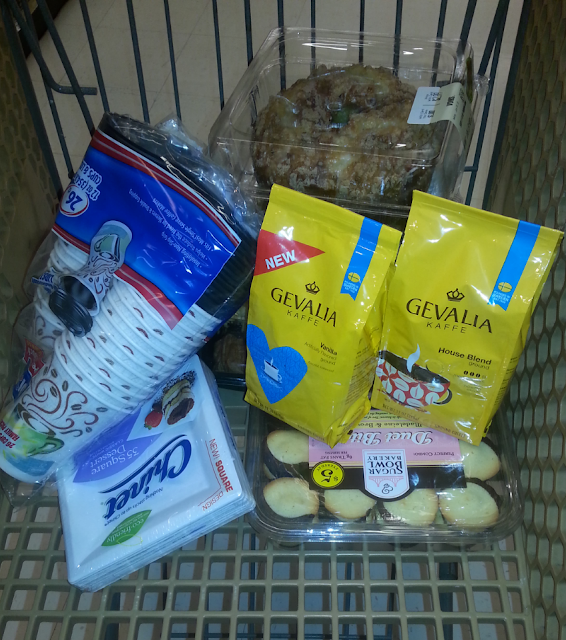 Early Sunday morning I woke up and headed to Vons to buy the Gevalia Coffee and treats. It was tough deciding on what type of coffee to choose, Gevalia has several varieties. I ended up with the house and vanilla blends. 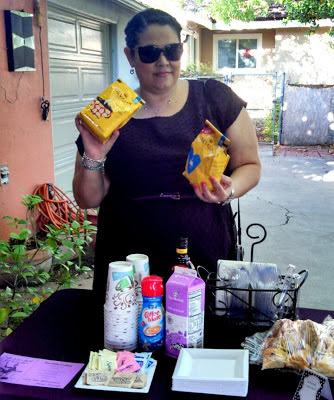 The treats were a mix of brownies, chocolate croissants and some pudding bunt cakes. Also included some cheese, crackers, hummus and chips. Not everyone has sweet tooth like I do, and wanted to give my guest some variety. I had the coffee maker ready to go, for when my guest arrived just click the on button and get the coffee brewing. Once every one arrived, I gave them a little explanation of Gevalia Coffee and the different types of blends to choose from. The vanilla blend seem to be the most popular and favorite among the ladies. I had to brew a second pot of Gevalia vanilla blend for those who requested a second cup. We all sat down with our coffee and treats for the rest of the after noon to chat. Lots of laughs were had as we talked about family, work and the latest shows we like to watch. Me being the fashion blogger, I had to bring up latest trends in clothes, shoes and make up. Most of my friends were most interested in talking nail polish colors for the summer. Seems we all like to have our nails done and shared some secrets to make our manicures last longer. By the end of the evening everyone was ready to head home and get ready for the week. It was a fun afternoon with the girls, and no alcohol was needed. I remember back in my college days this gathering would not have included coffee. How times have changed, but what hasn't changed is the good times I spend with family and friends. Even though we are older now, we still enjoy getting together and having some laughs over coffee. My nieces even joined in and liked the coffee. It was nice to show them you don't need to go out "drinking" to have a fun time. Some times all you need is good coffee and great friends. I love the Coffee which is making the body more productive. In the cheap cv writing service some of the amazing things are inspiring to me. Thanks for sharing this best stuff with us! Keep sharing! I am new in the blog writing. All types of blogs and posts avengers endgame white uniform are not helpful for the reader. Here the author is giving good thoughts and suggestions to each and every reader through this article. Quality of the content is the main element of the blog and this is the way of writing.